They were part of our landscape. And names crafted in shining brass evoked a bygone England - yet still with us. 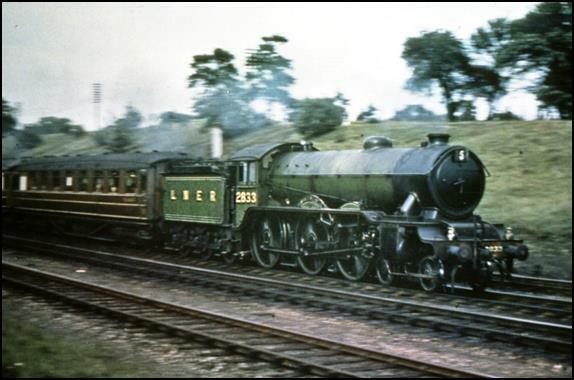 The gleaming green finish of these locomotives with 6 ft 8 ins diameter driving wheels provided a magnificent spectacle when either stationary, awaiting the ‘right-away’ signal or hurtling through town and country at speed with a fully laden train. Their elegant lines with shining brass nameplates left an everlasting memory with railway staff, enthusiasts and the general public alike who travelled on those trains or saw them pass-by. However with the rapid demise of steam, all were withdrawn from service before the preservation movement had become established and so none were preserved. Fulfilling the project aim to construct a new B17 will recreate again those exhilarating sights and sounds of a ‘Sandringham’ hard at work on the mainline at the head of its train and re-introduce something of our past heritage, for greater public benefit in years to come.